Information about the cases of the Caribbean British elders being systematically targeted and often deported from their British homes has been widely circulated in the past few weeks. Many members of British society, included the affected British elders, were unaware that they were a part of a group of people who were not officially categorised as British until they tried to access health care or were required to provide additional documentation for their employers in line with the online Employers’ Checking Service for Biometric Residence Permits (BRP) that began in June 2012. 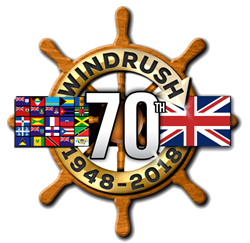 This anomaly has arisen because the Government system has failed to correctly file papers relating to the adults and children of Windrush generation – the British subjects who migrated to the UK from the Caribbean and other parts of the Commonwealth in the late 1940s and 1950s to help to rebuild the Mother Country. As the shock of this situation reached across the British nation public figures such as David Lammy MP, and celebrities, including David Harewood, and Sir Lenny Henry – who is himself descended from Caribbean British parents – have called for the public to sign a petition created by Patrick Vernon OBE, requesting an amnesty for anyone who was a minor that arrived in Britain between 1948 and 1971. To be considered for a debate in parliament, petitions have to obtain at least 100,000 signatures, this petition, created on the 6 October 2018, has already exceeded this amount of signatories. The Government is also required to respond to all petitions once they obtain more than 10,000 signatures. As a response to this public outcry, the Government has finally, on 13 April 2018, published some guidance around this matter. This appears to be the first Government response to repeated requests for guidance and information around the process that has targeted this group of British citizens. There are a number of steps that these Caribbean British elders will now have to undertake in order to verify their status as British citizens and prove they have right of abode in the UK. The first step is to apply for a “no-time limit” biometric resident permit (BRP), followed by applying for British Citizenship if they are successful with the initial step. The “no-time limit” biometric permit application is for someone who already has indefinite leave to enter or remain in the UK. There is a standard associated cost of £229 per person, and applications can also be made at Premium Service Centres for same day consideration of the application – at the premium cost of £610 per person. A mobile super premium service is also available at the cost of £10,500 per visit – this final service tier means that you will usually get your decision with 24 hours, as you can decided the location and time of the visit (between midday and 3pm, Monday to Friday) when the premium service staff will visit you to get your biometric information (fingerprint and photo), and your signature. This last service option may have to be used in a desperate final effort to stop impending deportation because the process of challenging the Home Office decisions increases in complexity and cost when a person has been forcibly removed from their British homes and relocated to a different country. BRPs were introduced in the UK in 2008 and have automatically been distributed to members of the British public when they have replaced old documents; these cards are used to confirm identity, the right to work and study in the UK, and the entitlement to access any public services or benefits. The BRP is a card issued by the Home Office that contains evidence of immigration permissions (also known as leave to enter or remain), and includes a microchip with two of the resident’s fingerprints and a digital photograph. The BRP is required documentation if the resident does not have indefinite leave to remain (ILR) endorsed in a current passport. The current procedure for obtaining permanent British residency dictates that once a resident gets ILR they cannot apply for British Citizenship for at least 12 months and have to have been in the UK for five years preceding application for citizenship. Therefore when these Caribbean British elders, who have been living and working in the UK for their entire lives, do obtain their official ILR they will still be faced with another delayed wait for a year before their British Citizenship is confirmed. British Citizenship is now dependent on where you were born (in the UK or a qualifying British overseas territory), when you were born (before or after 1 January 1983) and your parents’ circumstances at the time of your birth. The Government website states that, “All citizens of Commonwealth countries were British subjects until January 1983,” therefore this should be a straightforward matter for those Caribbean British elders who have been subjected to extensive questioning regarding their status. Yet, a raft of recent cases have proved that this has not been the situation that many, like Elwaldo Romeo, Sarah O’Connor, and Albert Thompson have found themselves in. The Home Office have also published a blog to say that Government policy around the rights of Commonwealth citizens has not changed, however because of the introduction of the hostile environment towards migrants in the UK who wish to work, live and use public services, there have been new laws implemented to ensure that these migrants have the correct documents to demonstrate their right to be in the UK and entitlement to use public services. On the same fact sheet page the Home Office claims that there are existing solutions available to obtain the correct documentation for settled status, and that they “have no intention of making people leave who have the right to remain here.” These solutions all involve hundreds, and sometimes thousands, of pounds in application fees, forms and tests for people who have been British citizens for their entire adult lives. The facts of the cases already listed above and in previous posts seem to contradict the statement that the Government made saying it has no intention of making people leave because many Caribbean British elders have already been detained, deported or refused entry back into the country after a lifetime’s work here. These newly implemented laws have highlighted an error in the Government system relating to the right of abode for long-term British residents from the Commonwealth. These people, have somehow mysteriously remained undocumented and ignored in central government systems – despite paying taxes, having National Insurance numbers, and decades of employment records – and they are now being unfairly treated and labeled as people with ‘no status’ and therefore categorised as not being the British Citizens the 1983 law identifies them as. As Gary Younge, from the Guardian newspaper, succinctly states, this is cruelty by design as people like Michael Braithwaite have violated no law; it’s the law that is violating them. Therefore all financial charges relating to proving British citizenship should be waived for Caribbean British elders who have been long term residents in the UK – that’s justice. They should not have to pay for an error that has been created by the Government systems that are supposed to be in place to protect them.